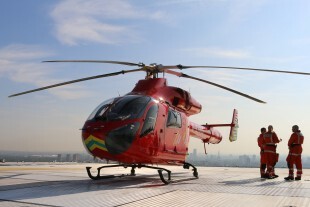 The G-LNDN registered MD902 Explorer will be available to deliver London Air Ambulance's advanced trauma team to critically injured patients across the capital. 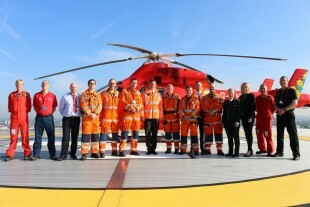 The unveiling took place at its Royal London Hospital helipad this morning. 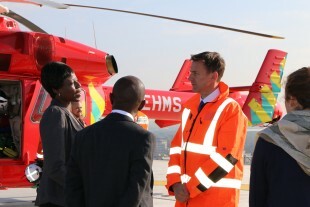 Over £4 million worth of donations was raised to acquire the helicopter and to cover initial running costs. 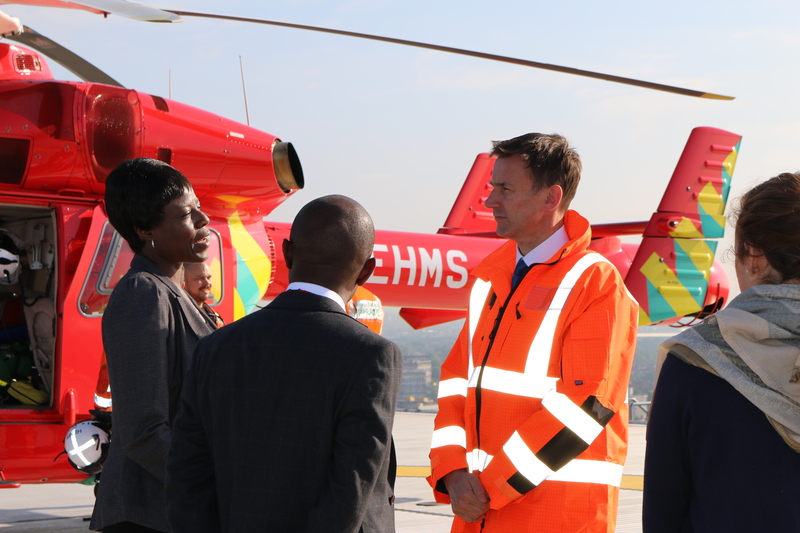 The Health Secretary visited London Air Ambulance in July 2015, when he saw first-hand how the combined team from the charity, Barts Health NHS Trust and the London Ambulance Service deliver advanced care to London’s most critically ill trauma patients. I was delighted to visit London's Air Ambulance headquarters and The Royal London Hospital, both of which provide vital support to critically ill trauma patients across London. 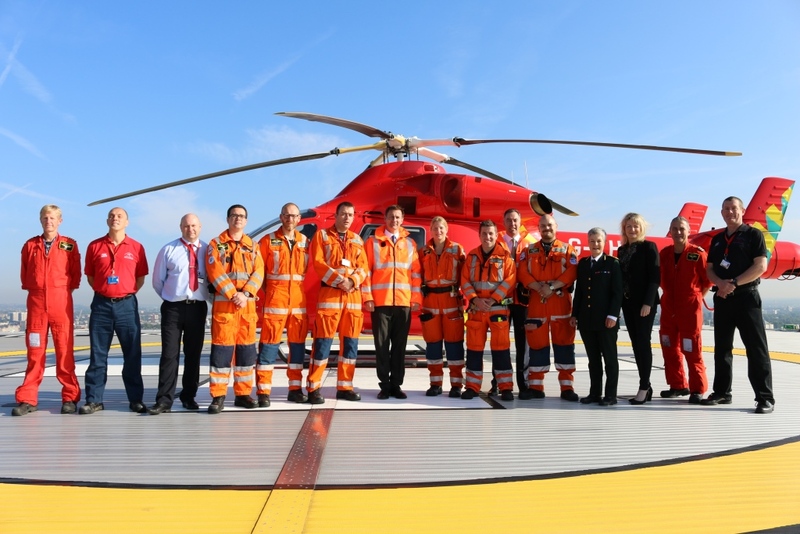 It was a privilege to meet staff and former patients to talk about their experiences, and to see how the London's Air Ambulance team handle the toughest calls – from initial incident response to the handover with the Barts Health Emergency Department for further treatment. 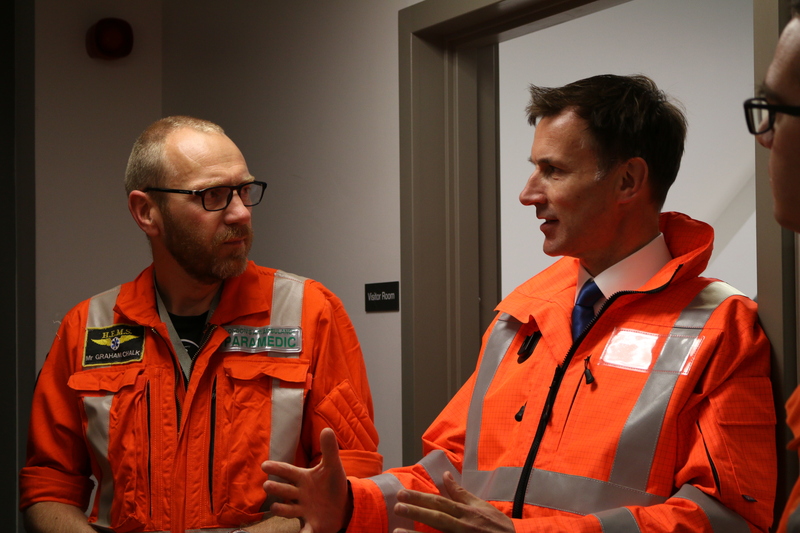 Working in collaboration with London Ambulance Service, they provide a fast and efficient emergency response across the capital.